People get divorced for a variety of reasons, and sometimes this makes one parent feel passionately angry towards the other parent. Regardless of what happened or how you feel, you need to remember that the other parent is still a parent of your child, and your child needs to see you and that parent getting along and being respectful. Talking poorly about the other parent or trying to put your child in the middle as a spy will only turn out to cause problems, and this could also be stressful for your child and make them lose respect for you. If you really want to talk about your feelings, it’s better to do so with the help of a counselor. Obviously, your child is your whole world, and the last thing you want to do is lose time with that child. 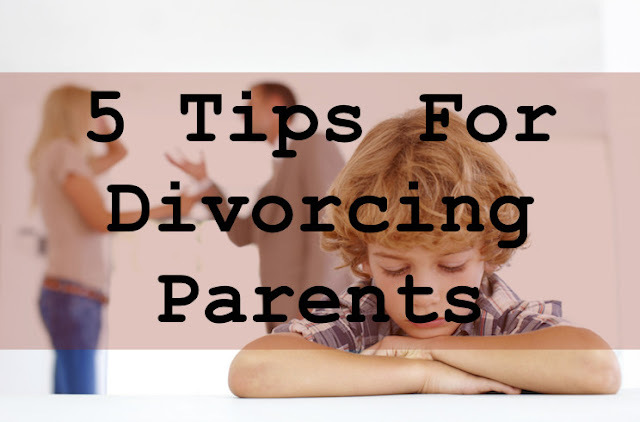 However, divorce means having to allow your child to spend time with each parent, which means you need to give up some of that time with your child to the other parent. During the divorce proceedings, you may try to take out your feelings towards your ex by trying to fight for sole custody or trying to limit the amount of time they have with the child. Although you may feel some initial satisfaction from this, remember that it’s only doing your child harm not to spend time with both parents, so don’t be greedy just to stick it to your ex. If you have an amicable divorce, you may try to decide things like visitation or child support arrangements on your own; however, this creates plenty of loopholes that can come back to be a problem in the future. In fact, according to Raleigh lawyers Marshall & Taylor LLC, “child support arrangements can become difficult even after the divorce is finalized.” Even if you don’t want to go through the hassle of court, you can always opt for mediation to try and settle your situation in the best way. This not only allows you to do things more amicably, but it’s also legally binding, which keeps both you and your ex-spouse protected should you need it. Nobody wants to go through a divorce, especially with kids, but if you do, be sure to avoid these mistakes.